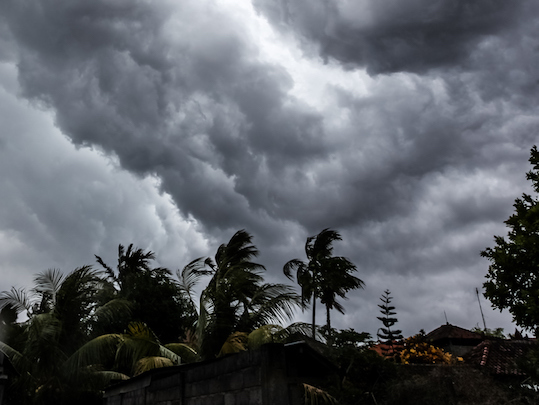 Did you know on average, there are 12 tropical storms each year? Six will become hurricanes that form over the Atlantic Ocean, Caribbean or Gulf of Mexico from June 1 - November 30. In the Pacific Ocean, there's an average of three tropical storms each year, two becoming hurricanes between May 15 - November 30 every year. • Creating an evacuation plan or shelter-in-place plan, and more. Take the time to review your emergency plan with employees before storm season hits. If you have questions, contact our Risk Engineering team at AskRiskEngineering@StateAuto.com. Download our Hurricane and Tropical Storms Technical Guide here.